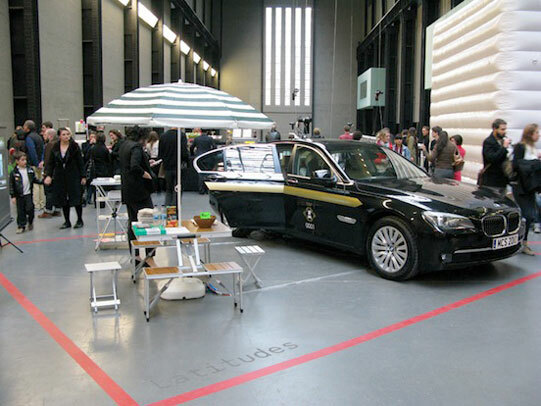 Following its participation in the New York edition of ‘No Soul for Sale’ in June 2009, Latitudes was invited to participate in the second edition of the festival in the context of Tate Modern's 10th Anniversary celebrations. Latitudes contribution was a collaboration with Catalan artist Martí Anson (Mataró, 1967). 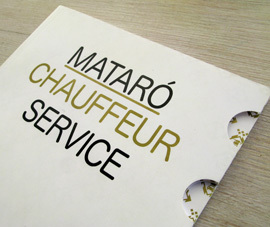 In response to the need to travel to London, Anson set up the company “Mataró Chauffeur Service” in honor of his hometown, and drove Latitudes from Barcelona to London and back. Designing the livery of the single vehicle fleet, his uniform, and the journey to Tate Modern and back (including the ferry journey Santander–Portsmouth) all formed a part of the project. 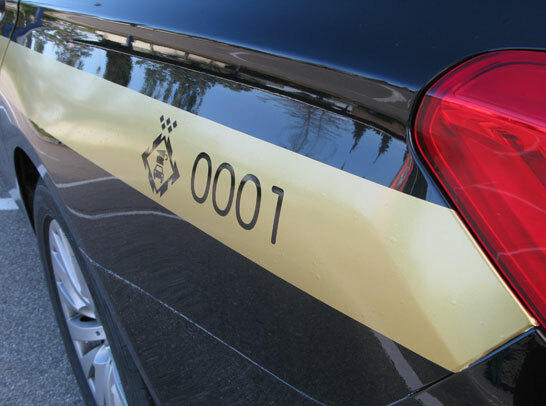 The gold-trimmed black vehicle’s design was based on the original look of the yellow-and-black Mataró taxis from the 1960s, a branding later ‘stolen’ by neighboring Barcelona’s taxi fleet. 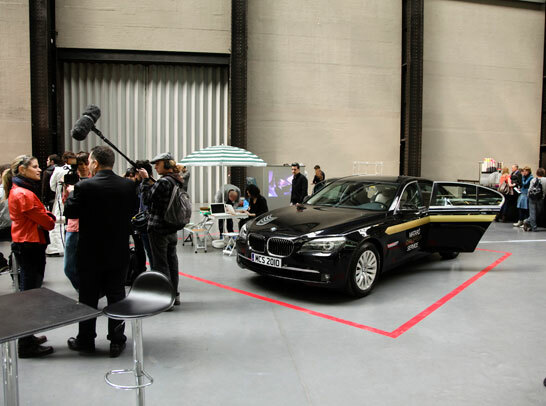 The car itself formed the basis of Latitudes’ temporary office-encampment in the Turbine Hall and was parked up for the weekend alongside a ‘typically Spanish’ picnic scenario of camping chairs, folding table and parasol as well as a slideshow of images of the journey. In this setting Latitudes presented films and publications relating to their recent projects. The scenario also served as a meeting point for a series of informal encounters with invited artists and curators. The car interior was a screening space for films by artists Bik Van der Pol, Marjolijn Dijkman, Jan Dibbets and Christina Hemauer & Roman Keller, as well as a series of ‘making of’ featurettes, all produced as part of ‘Portscapes’ the Latitudes-curated commissions series developed with the Port of Rotterdam and SKOR during 2009. ‘No Soul for Sale’ featured nearly 70 innovative independent art spaces, not-for-profit organizations and collectives from Cali, Berlin, Philadelphia, Hong Kong, Lisbon, New York, Manila, Beijing, etc – watch a video. Participants presented talks, screenings, performances alongside each other without partitions walls, following a do-it-yourself spirit. The festival was an initiative of the artist Maurizio Cattelan and curators Cecilia Alemani and Massimiliano Gioni. 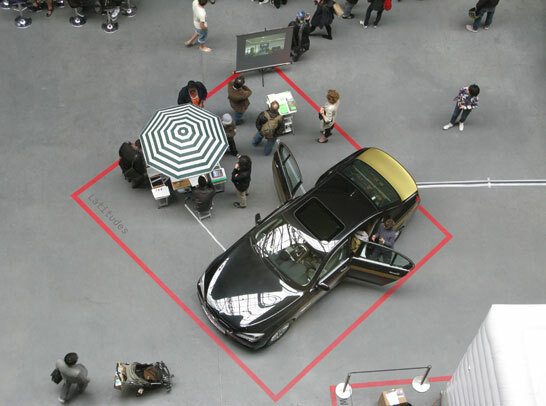 The first edition took place in New York between 24–28 June 2009 at X initiative, the former building of the Dia Center for the Arts, and it gathered over 30 not-for-profit centers, alternative institutions, artists’ collectives and independent spaces. The idea for the festival was to celebrate and foster a spirit of independence and diversity in the art world. Participants: Alternative Space LOOP (Seoul), Arrow Factory (Beijing), Arthub Asia (Shanghai/Bangkok/Beijing), Artis - Contemporary Israeli Art Fund (New York / Tel Aviv), Artspeak (Vancouver), Artists Space (New York), Auto Italia (London), Ballroom (Marfa), Black Dogs (Leeds), Barbur (Jerusalem), Capacete Entertainment (Rio de Janeiro), Casas Tres Patios (Medellín), Centre Cinématèque de Tanger (Tangier), Cinema Project (Portland), cneai= (Paris-Chatou), Collective Parasol (Kyoto), Dispatch (New York), e-flux (Berlin), Elodie Royer and Yoann Gourmel - 220 jours (Paris), Filipa Oliveira + Miguel Amado (Lisbon), FLUXspace (Philadelphia), FormContent (London), Galerie im Regierungsviertel/Forgotten Bar Project (Berlin), Green Papaya Art Projects (Manila), Hell Gallery (Melbourne), Hermes und der Pfau (Stuttgart), i-cabin (London), K48 Kontinuum (New York), Kling & Bang (Reykjavík), L'appartement 22 (Rabat), Latitudes (Barcelona), Le Commissariat (Paris), Le Dictateur (Milan), Light Industry (New York), Lucie Fontaine (Milan), lugar a dudas (Cali), Machine Project (Los Angeles), Mousse (Milan), Museum of Everything (London), Next Visit (Berlin), New Jerseyy (Basel), Not An Alternative (New York), no.w.here (London), Oregon Painting Society (Portland), Or Gallery (Vancouver), P-10/Post Museum (Singapore), Para/Site Art Space (Hong Kong), Peep-Hole (Milan), PiST (Istanbul), PSL [Project Space Leeds] (Leeds), Rhizome (New York), Salamanca (Jerusalem), San Art (Ho Chi Minh City), Studio 1.1 (Liverpool), Suburban (Chicago), Swiss Institute (New York), The Mountain School of Arts (Los Angeles), The Royal Standard (Liverpool), Thisisnotashop (Dublin), Torpedo - supported by the Office for Contemporary Art Norway (Oslo), Tranzit (Prague), Viafarini DOCVA (Milan), Vox Populi (Philadelphia), Western Bridge (Seattle), Western Front Society (Vancouver), White Columns (New York), Y3K (Melbourne), 2nd Cannons Publications (Los Angeles), and 98 Weeks (Beirut). Martí Anson’s projects include ‘Martí et la chocolaterie’ for ‘Rendez-Vous 09’, 10th Biennale de Lyon, Lyon (2009), ‘Martí and the flour factory’ for ‘Lucky Number 7’, Site Santa Fe, Santa Fe, New Mexico (2008) ‘Fitzcarraldo, 55 days working on the construction of a Stella 34 yacht in the Centre d'Art Santa Mònica’, Centre d’Art Santa Mònica, Barcelona (2005). Institut Ramon Llull, The State Corporation for Spanish Cultural Action Abroad (SEACEX) / Gobierno de España, Ajuntament de Mataró and Galeria Toni Tàpies. Cecilia Alemani, Maurizio Cattelan, Massimiliano Gioni (No Soul for Sale); Martyn Coppell, Kathy Noble, Capucine Perrot, Jessica Vaughan (Tate Modern); Gemma Cordonet, Sílvia González, Eva Sòria (Institut Ramon Llull); Eloísa Ferrari, Anael García, Raquel Mesa, Marta Rincón (SEACEX); Gisel Noè, Sergi Penedés (Ajuntament de Mataró); Galeria Toni Tàpies; Wieland Bruch, Pilar Candil, Ian Carey, Thomas Girst, Martin Harrison, Carmen Mora (BMW Group); Aitziber Larumbe, Xabier Zirikiain (Loreak Mendian); Pep Dardanyà (Can Xalant); Katherine Holmgren, Victoria Siddall (Frieze); Emily Palmer (Cultureshock); Bibi López, Sergi Opisso, Anna Pujol, Bernat Martorell. Latitudes fue de nuevo invitada a participar en el festival ‘No Soul for Sale’ tras la primera edición del festival Nueva York en junio 2009. Para la ocasión, coincidiendo con el 10º aniversario de Tate Modern, Latitudes invitó al artista catalán Martí Anson a producir un nuevo escenario para su presentación en la Sala de Turbinas de Tate Modern. 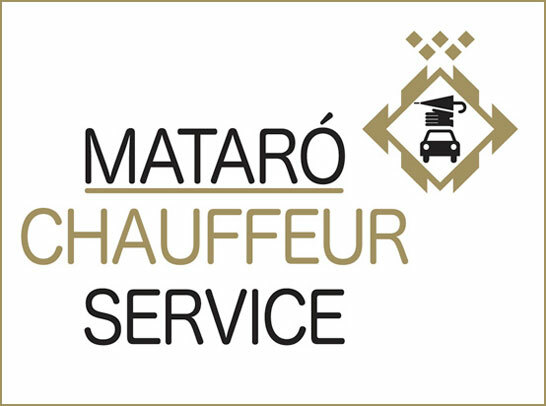 En respuesta a la necesidad de viajar a Londres, Anson propuso diseñar la identidad de la empresa ‘Mataró Chauffeur Service’ así como el único vehículo de su flota y uniforme y conducir a los dos miembros de Latitudes de Barcelona a Londres (el trayecto incluyó el ferry Santander-Portsmouth-Santander) y de regreso a Barcelona. 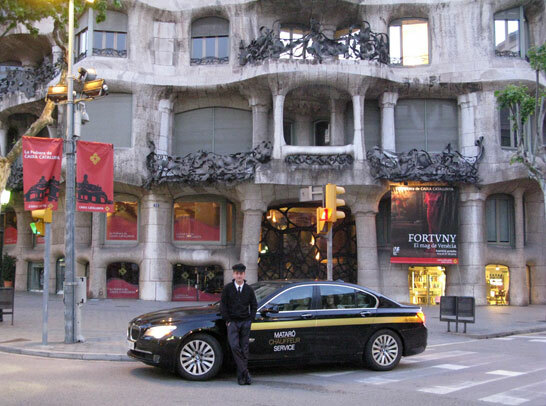 La franja dorada que adornó el vehículo alude al aspecto original que tenían los taxis de Mataró durante la década de los sesenta, diseño posteriormente ‘robado’ por la vecina flota de taxis barceloneses. El coche permaneció estacionado durante el festival junto a un escenario 'típicamente español' realizado con mobiliario de camping y una proyección de fotografías del viaje. En este ‘campamento temporal’ Latitudes presentó publicaciones y videos de sus proyectos recientes y organizó reuniones informales con artistas y comisarios invitados. 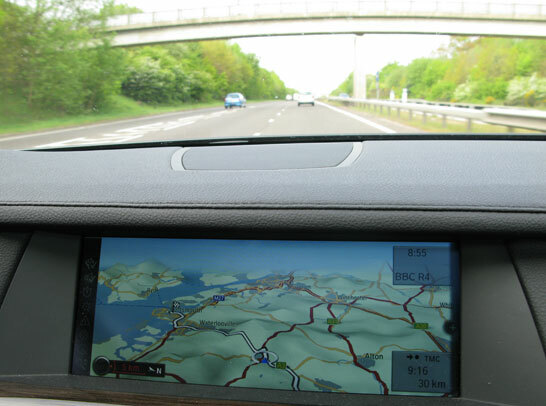 El interior del coche sirvió como un espacio de proyección de videos realizados por los artistas Bik Van der Pol, Marjolijn Dijkman, Jan Dibbets y Christina Hemauer & Roman Keller, así como una serie de 'making ofs' producidos en el contexto de 'Portscapes', la serie de proyectos públicos comisariada por Latitudes a iniciativa del Puerto de Rotterdam y SKOR durante el 2009. ‘No Soul for Sale’ contó con la participación de cerca de 70 espacios de arte independientes, organizaciones sin ánimo de lucro y los colectivos artísticos procedentes de Cali, Berlín, Filadelfia, Hong Kong, Lisboa, Nueva York, Manila, Pekín, etc. Los participantes presentaron charlas, proyecciones y eventos uno al lado de otro, sin paredes divisorias, siguiendo un estilo ‘hazlo tú mismo’. 'No Soul For Sale', fue una iniciativa del artista Maurizio Cattelan y de los comisarios Cecilia Alemani y Massimiliano Gioni. La primera edición tuvo lugar en Nueva York entre el 24–28 Junio 2009 en X Initiative, la antigua sede del Dia Center for the Arts, y reunió a más de 30 organizaciones artísticas sin fines de lucro, instituciones alternativas formadas por artistas y colectivos independientes. La idea del festival es celebrar y fomentar el espíritu de independencia y diversidad de las artes visuales. Participantes: Alternative Space LOOP (Seoul), Arrow Factory (Beijing), Arthub Asia (Shanghai/Bangkok/Beijing), Artis - Contemporary Israeli Art Fund (New York / Tel Aviv), Artspeak (Vancouver), Artists Space (New York), Auto Italia (London), Ballroom (Marfa), Black Dogs (Leeds), Barbur (Jerusalem), Capacete Entertainment (Rio de Janeiro), Casas Tres Patios (Medellín), Centre Cinématèque de Tanger (Tangier), Cinema Project (Portland), cneai= (Paris-Chatou), Collective Parasol (Kyoto), Dispatch (New York), e-flux (Berlin), Elodie Royer and Yoann Gourmel - 220 jours (Paris), Filipa Oliveira + Miguel Amado (Lisbon), FLUXspace (Philadelphia), FormContent (London), Galerie im Regierungsviertel/Forgotten Bar Project (Berlin), Green Papaya Art Projects (Manila), Hell Gallery (Melbourne), Hermes und der Pfau (Stuttgart), i-cabin (London), K48 Kontinuum (New York), Kling & Bang (Reykjavík), L'appartement 22 (Rabat), Latitudes (Barcelona), Le Commissariat (Paris), Le Dictateur (Milan), Light Industry (New York), Lucie Fontaine (Milan), lugar a dudas (Cali), Machine Project (Los Angeles), Mousse (Milan), Museum of Everything (London), Next Visit (Berlin), New Jerseyy (Basel), Not An Alternative (New York), no.w.here (London), Oregon Painting Society (Portland), Or Gallery (Vancouver), P-10/Post Museum (Singapore), Para/Site Art Space (Hong Kong), Peep-Hole (Milan), PiST (Istanbul), PSL [Project Space Leeds] (Leeds), Rhizome (New York), Salamanca (Jerusalem), San Art (Ho Chi Minh City), Studio 1.1 (Liverpool), Suburban (Chicago), Swiss Institute (New York), The Mountain School of Arts (Los Angeles), The Royal Standard (Liverpool), Thisisnotashop (Dublin), Torpedo - supported by the Office for Contemporary Art Norway (Oslo), Tranzit (Prague), Viafarini DOCVA (Milan), Vox Populi (Philadelphia), Western Bridge (Seattle), Western Front Society (Vancouver), White Columns (New York), Y3K (Melbourne), 2nd Cannons Publications (Los Angeles), and 98 Weeks (Beirut). Entre los proyectos de Martí Anson destacan: ‘Martí et la chocolaterie’ para ‘Rendez-Vous 09’, 10a Biennale de Lyon, Lyon (2009), ‘Martí and the flour factory’ para ‘Lucky Number 7’, Site Santa Fe, Santa Fe, Nuevo Mexico (2008) ‘Fitzcarraldo, 55 days working on the construction of a Stella 34 yacht in the Centre d'Art Santa Mònica’, Centre d’Art Santa Mònica, Barcelona (2005). Institut Ramon Llull, The State Corporation for Spanish Cultural Action Abroad (SEACEX) / Gobierno de España, Ajuntament de Mataró y Galeria Toni Tàpies.